Participating in the Project 365 and cooking and blogging about one recipe a day (*restrictions apply). All photos are my own. 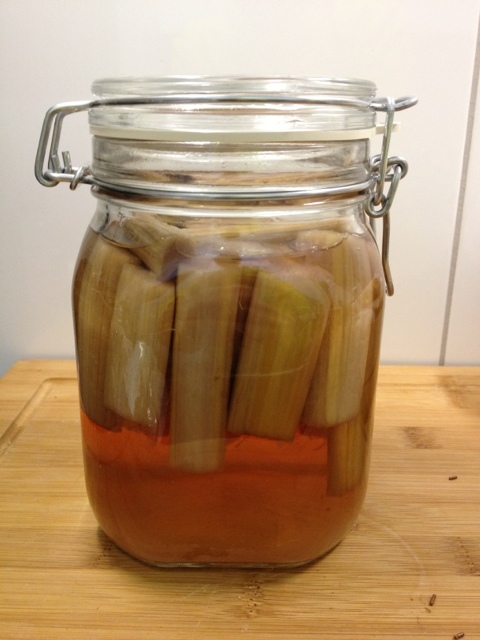 On March 29th I drowned some rhubarb in vodka for my Nastrovje Rhubarb blog post. 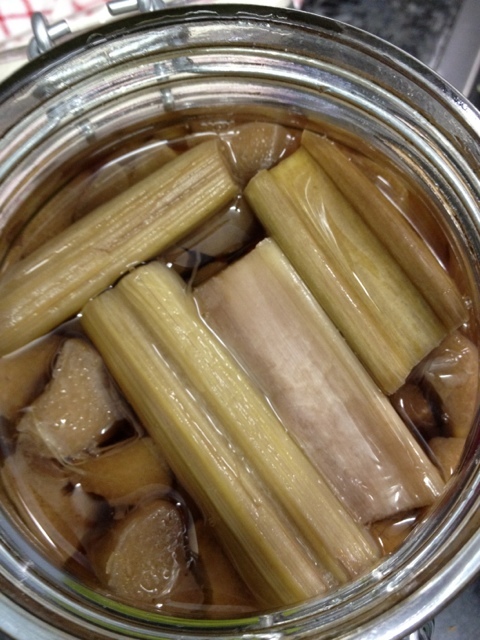 Now, six weeks later I brought the rhubarb back to light from the darkest and coldest corner of my (tiny) kitchen. 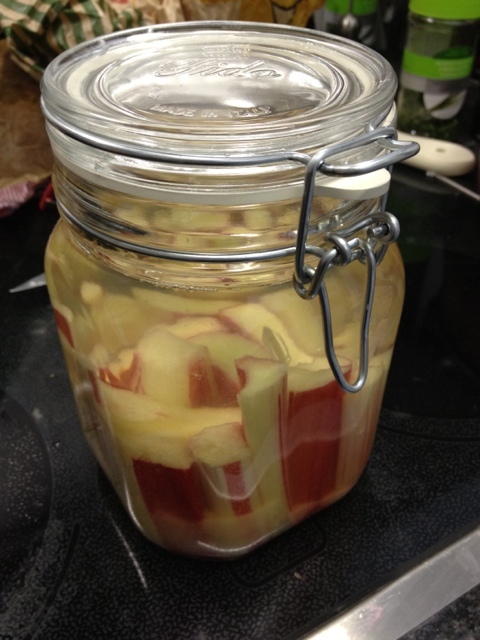 When I opened the jar a lovely smell of boozy sweet rhubarb ascended. 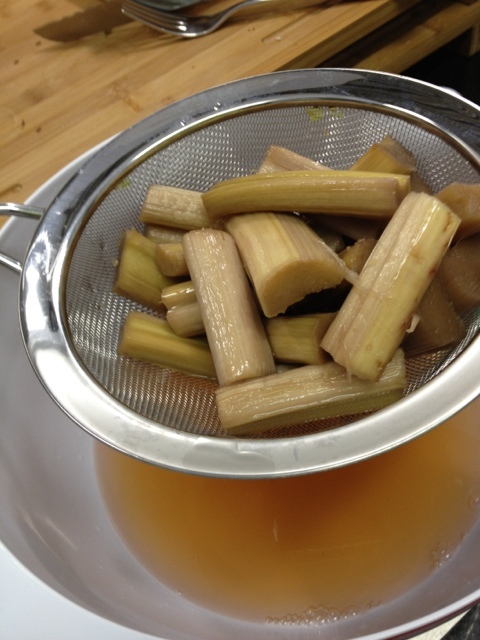 I drained the liquid, threw away the rhubarb and bottled the rhubarb schnaps. I tasted the bit that was left over and I am not sure how long the bottles will keep. It tastes fantastic! Now I have to think of ways to use it in recipes or mixed drinks. 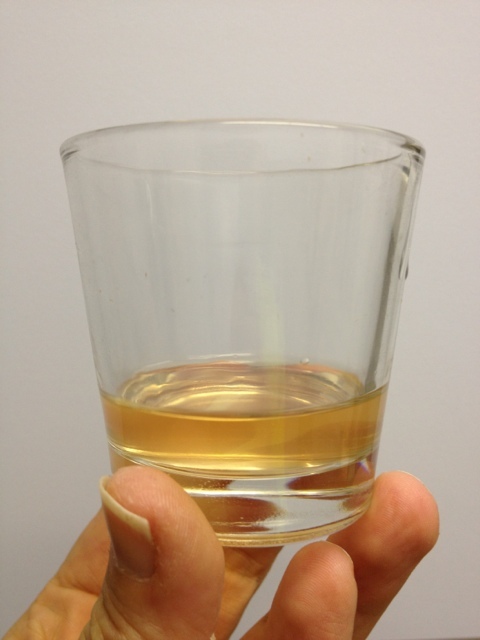 I think I’ll try a Rhubagne (rhubarb & champagne, copyrighted and trademarked by me!) or a There’s the Rhub cocktail (still to be invented but the name has already been copyrighted and trademarked by me!). 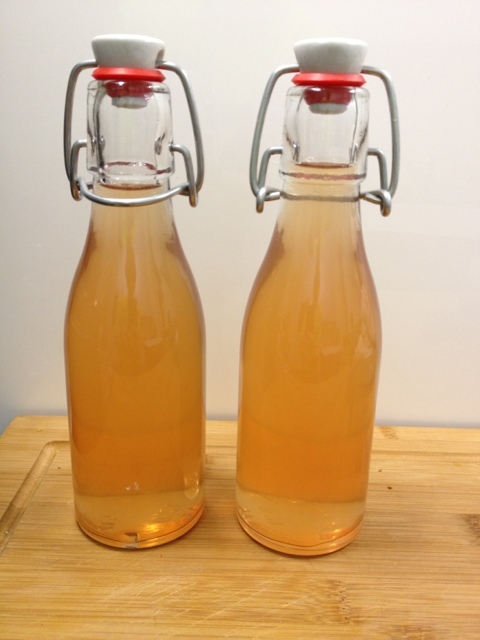 I just made a rhubarb version of kir royale on the weekend – rhubarb simple syrup and prosecco. It worked great. Sounds very nice & I will definitely try my rhubarb schnaps with some bubbly soon!